Faux fur head band. red racoon fur head warmer. red brown long haired fur ear warmer. Package shipping 48h. A fashion way to keep the head warm when it's cold: a headband covering the ears. 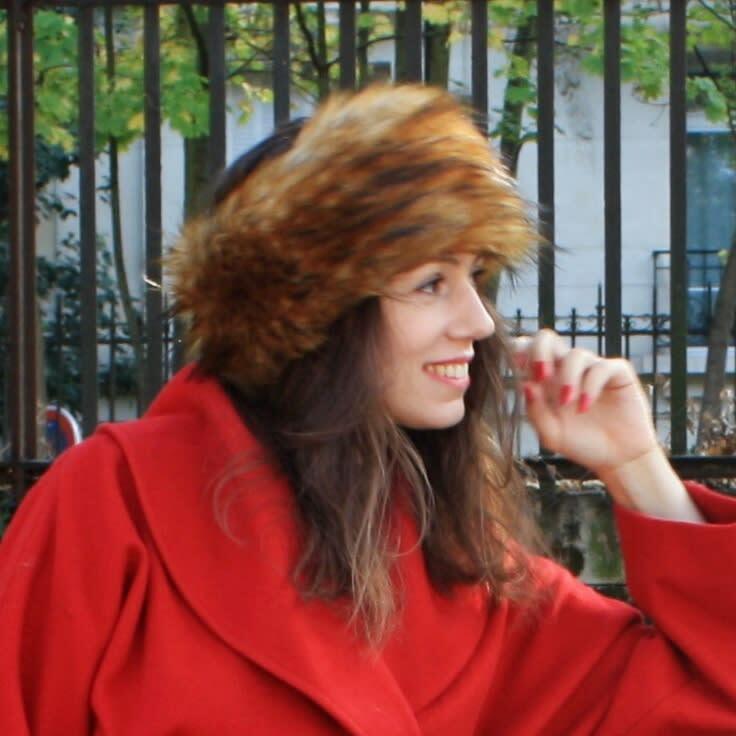 This racoon imitation faux fur headband, in a camaïeu of red and brown, surrounds the face with brightness and softness. Completely closed headband with fur, invisible elastic band inside. Two sizes: S/M ( 21,5" to 22,5" ) and M/L (22,5 to 23,5").